Fusco & Orsini Insurance Serv Inc.
Insurance Sol Pacific Coast Inc.
Leavitt Insurance Agency Of San Diego Inc.
Rancho Del Sur Insurance Services, Inc.
Rebecca Byrom Insurance Agency Inc.
San Diego General Insurance Agency Inc.
Silicon Valley Insurance Center Inc. The Liberty Co Insurance Brokers Inc.
Tracy Sekhon Insurance Agency Inc.
Wilson And Co Insurance Services, Inc. Considering San Diego's sprawling population, it's a testament to the city's drivers that there aren't more accidents each year. If the day ever comes when you need it, have the peace of mind that you'll be talking to Nationwide's On Your Side® Claims Service. In the meantime, if you want to enroll in our Vanishing Deductible® program, if you want to verify that you're getting every applicable rate discount, or for all of your policy questions, talk to one of our San Diego auto insurance agents. If you live in the governor's mansion your home insurance is already taken care of. 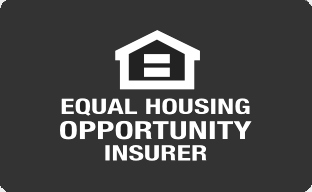 But pretty much every other homeowner in San Diego and the surrounding area needs homeowners coverage. Part of this coverage is about protecting the property investment you've made, but there's also the peace of mind of knowing that you'll be able to rebuild in the aftermath of many home damages. that's why we recommend you talk to a San Diego home insurance agent about Brand New Belongings®, Better Roof Replacement®, and other policy options available through Nationwide. In a thriving city like San Diego, there's a lot of diversity to celebrate, but many things about life insurance ring true for pretty much every local family or resident. The desire to provide for your loved ones, even in a worst-case scenario, for example. Or what about knowing that your long-term care costs are covered if you're diagnosed with a chronic illness? Talk to one of our San Diego life insurance agents about the different types of life insurance policies available through Nationwide. You don't have to be a multinational conglomerate for your business to need the essential protection that comes with liability and commercial property insurance. Whether you're looking for a very basic policy or a fully customized business owner policy, talk to one of our San Diego business insurance agents about how to better manage the risk your company faces every day. Learn more about how one of these policies can protect what you've worked so hard to build, while also positioning your company for future growth.